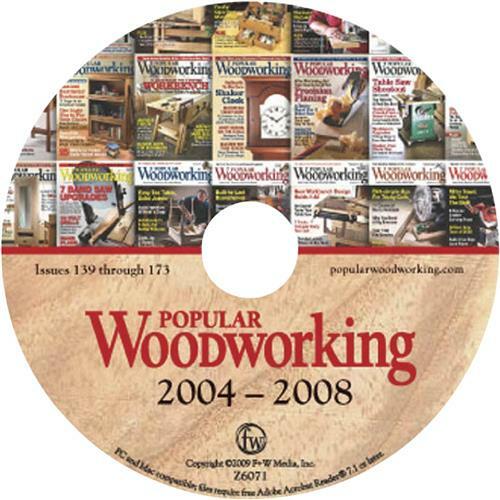 In this collection of 35 issues of Popular Woodworking, discover a wide range of traditional and contemporary project plans, technique instruction, tool reviews, tips and tricks and much more. Step-by-step joinery instruction you can apply to all of your projects, including mortise-and-tenon joints, hand-cut dovetails and must-know router techniques for joinery. Tactical jigs and fixtures that help you get the most from your machines as you work more safely and efficiently. A huge array of project plans, from workbenches to shop fixtures to furniture in a wide variety of styles. 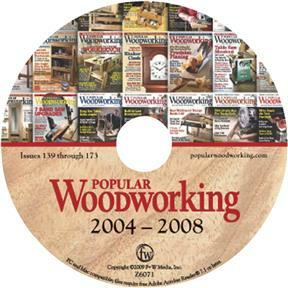 All files are in PDF format, so they'll work on almost any computer (PC or Macintosh) and can be viewed with Acrobat Reader 7.1 (a free program).